Log burners Sheffield wide, it’s often said, bring a range of advantages to their owners, from increasing energy efficiency to becoming more eco-friendly. But those don’t automatically come with your purchase of these kinds of Yorkshire stoves. There are a host of tips and tricks that you can learn in order to maximise the benefits you can accrue from your investment in such an appliance. From burning the right sorts of wood to making full use of the ways in which your stove operates, there’s plenty to be done to help save money and benefit from better heating for your home. In this article, we look at just a few of the ways you can improve your stove’s performance. 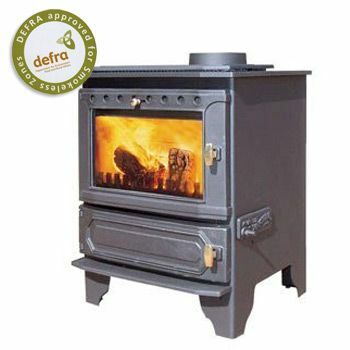 What Are The Best Types Of Wood For These Kinds Of Yorkshire Stoves? So you’ve chosen one of the many wood burning stoves Sheffield wide and it now takes pride of place in your living area. What next? To get the most impressive results in terms of energy savings and heating efficiency, there are some things you can do. One of the first and most important is that owners of log burners Sheffield and beyond should ensure they’re burning the ‘right’ kind of wood. It’s a known fact that around 50% of the volume of green wood – which is wood that has only recently been cut down and therefore hasn’t had time to dry out – is water. That means when you place it in your stove, much of the energy it creates by burning goes towards drying out the moisture, rather than heating your home. Not only that but you’ll notice more smoke is emitted, which over time can clog up the inside of your chimney. So what can you do if you’ve inadvertently bought green rather than seasoned wood, or if you’ve realised that green wood is cheaper than the alternative? It’s entirely possible, if you have space, to dry it out yourself before you use it, but note that this will take at least one summer; and it’s preferable to leave it for two. The better option if you’re impatient is to buy seasoned wood from a reputable supplier who uses a certification scheme such as Woodsure. This guarantees that the wood they’re selling is as dry as it claims to be and is ready to burn in wood burning stoves Sheffield area. How Else Can You Boost The Benefit Of A Log Burner Installation Sheffield? If you have a log burner installation Sheffield and are storing wood for its use, then do that in a dry place. The same considerations as above apply: you don’t want to be burning wood with high water content. Try stacking several smaller woodpiles rather than one large one as this allows air to circulate better. Place them where they benefit from any direct sunlight; or in a dry shed, rather than under a tarp that can become damaged or blow off. However, it’s not only the moisture content of the wood you burn that’s important, though. Different types of wood burn with different results. Some have a better energy output than others. In general, hardwoods are usually more dense than soft woods and thus take longer to burn. In fact, it’s estimated that you’ll get up to 50% more heat out of some hardwoods compared to soft woods. Ash, oak, maple and apple (all properly seasoned, of course!) are great choices. And the slower the wood burns, the less time you’ll be spending adding logs to your stove too. Speaking of making up the fire, be aware there are different ways of getting different results. If you need to quickly heat up the room, a loose-packed fire built of dry wood will burn faster and at a higher temperature than densely-packed wood. And keeping the door to woodburning stoves Sheffield wide shut while the fire is burning helps too. An open door interferes with the otherwise regulated flow of air into the fire, which then consumes as much oxygen as it can draw in. This increases the draft and most of the heat is sucked up the chimney. Furthermore, most of these types of stove are simply not intended to be operated with the door open. It’s dangerous, as the occupants of the room are exposed to the naked flames; and what’s more, it will almost certainly invalidate the manufacturers’ warranty if something goes wrong. One further way to ensure that wood burning or multi fuel stoves Sheffield wide operate as they should, and that you benefit to the max from the fuel you’re buying and burning, is to keep on top of maintenance issues. This includes having your chimney swept at least once or twice a year. This prevents any risk of fire or of harmful pollutants being emitted into the room or the atmosphere outside. In the meantime, study the instructions that come with your stove with care. These have plenty of tips on how to operate your stove to the best possible effect. Log burners Sheffield wide are far more flexible and versatile in terms of controlling the heat output than open fires. This is mainly done by altering the flow of primary and/ or secondary air. Primary air enters below the grate and is mainly useful when multi fuel stoves are burning materials other than wood. Secondary air enters above the fuel load and is essential for burning wood. You’ll probably need to experiment with air flow, turning it up and down at different stages of the burn cycle, to get the best results. Sourcing your stove from a reliable, experienced seller is the final tip. When you buy from firms like Leeds Stove Centre, they’ll give you plenty of essential advice. At Leeds Stove Centre, we’re acknowledged specialists in the supply and installation of multi fuel stoves and log burners Sheffield wide and beyond. Our extensive selection of these, along with fireplace accessories from hearths, beams and fireplaces to flues and chimney liners, are available to both the public and trade. We aim for our prices to be as competitive as possible while hand-picking our products for their quality, efficiency and style. Take a look at what’s on offer on our website at https://www.leedsstovecentre.co.uk/, and when you’re ready to make your purchase or find out more, call us on 0113 255 5622 or visit our conveniently located showroom at 136 Town Street, Pudsey, Leeds LS28 6ER.